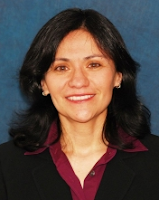 Edith Ramirez has been named as Chairwoman of the Federal Trade Commission (FTC) the White House said on Thursday. Once President Barack Obama’s colleague at the Harvard Law Review, Ramirez, 44, is a lawyer specializing in business litigation and intellectual property in Los Angeles. Fluent in Spanish and from Southern California, Ramirez’ appointment comes at the heals of national criticism of Obama by Latino groups for his lack of appointment of Latinos, especially after losing prominent Hispanic appointees Hilda Ortiz (Labor) and Ken Salazar (Interior). She was appointed as a Commissioner on the FTC in 2010. Obama started his second term by appointing three White males in succession, which drew the criticism of several civil rights groups across the nation including the NAACP and several Democratic legislators. Ramirez is considered a moderate Democrat an indicator the White House would rather have a centrist running the FTC to appease corporate concerns. There are several key decisions the FTC will be making with Ramirez as Chair, like the proposed high-profile mergers of Office Depot Inc. with OfficeMax, Tesoro Corp's purchase of a BP refinery in gas-price sensitive California, and Tempur-Pedic's proposed purchase of mattress rival Scaley Corp.
Ramirez replaces Jon Leibowitz as the head of the FTC, which works to protect consumers from unfair business practices and maintain competition in the marketplace. Senator Amy Klobuchar, the new chair of the Senate Judiciary Committee's antitrust subcommittee, praised Ramirez as a "highly respected FTC commissioner." "I look forward to working with Commissioner Ramirez to protect consumers and promote competition, and I am confident she will be a great partner in these efforts," she said in a statement. Ramirez’ appointment does not require Senate confirmation.